After experiencing the heartache and hurt that come from terminated matches and the uncertainty of the waiting process, we were humbled and amazed that our situation came about as beautifully and easily as it did. But what - if anything - can other families do to have a similar outcome? We spent Christmas 2015 with family, but something—someone—was missing. We felt it in the conversations and the gift opening, in the meals and the family gathering time. Both of us ached to be parents and had a sense that God had called us to parent, yet another special season was passing along and that was not the case. Nearly twelve years earlier, we were married right out of college and figured we would have children “one day.” Then, three years ago, we began to try to have a child biologically. Nothing happened month after month. Eventually, we did some tests, and the doctors concluded that it was unexplained infertility. This prompted our return to discussing adoption, something we had considered before beginning to try to conceive. We sensed an even stronger pull towards adoption at this point and decided to pursue it rather than begin fertility treatments. Having seen some unfortunate stories that unfolded on the international side in recent years, we were particularly interested in domestic adoption. We felt the process was more likely to unfold in an ethical manner through an open adoption in which our child would have an ongoing relationship with his or her biological family. We completed our home study in August 2015, and almost immediately it looked like we would have a match through our adoption agency in Virginia. The baby girl was to be born in ten days, and we were given limited information about the complicated situation behind the pregnancy. It involved mental illness, incarceration, and a birth father who wanted to parent but whom nobody believed to be capable of doing so. We would likely be foster parents for as long as two years before being able to become the adoptive parents. Would we be willing to do a foster-to-adopt situation with this baby girl? Filled with tears of hope and surprise, we took the risk and said, “Yes!” Immediately, our families and church family rallied around us. Within four days we had all the basics: stroller, car seat, formula, 0-3 month clothing, and more, and we had both coordinated leave with our work places. On day five, we learned everything had fallen through. Essentially, the birthmother had been working with another agency for a while but then became concerned that the birthfather might not consent and therefore pursued a backup option she no longer needed. This loss hurt a great deal, and we became fairly lethargic in our efforts to continue being proactive in the adoption process. The one thing that we did after the adoption fell through was sign up with Adoptimist in October 2015. We chose to go with Adoptimist in part because our agency recommended it. Also, we readily saw that Adoptimist had a good diversity of families on the site, a pleasing design layout, and an ease-of-use that would allow us to update our profile regularly. We had made it clear that for this to go forward, we would need to talk to her folks since she was still a minor. It was not long after our making this point that we did not hear from her again. After a week or two on Adoptimist, we decided to also promote our page via Google ads. We did this for a little more than a month, and while this generated plenty of “hits,” we were discouraged by the fact that it generated no actual inquiries about our page. We stopped paying for the ads and began considering if we should spend a large sum of money on one of the larger adoption placement agencies. As we discussed this option over Christmas and into the new year, we received an email. It came from a teenager who had recently gotten pregnant. She had found our profile on Adoptimist and wanted to talk with us about the possibility of us being the adoptive parents for her child. After four days in which we sent a flurry of texts and phone calls back and forth with her, this option also fell through. While the birthmother clearly liked us and even said she would like for us to be the adoptive parents, we were unable to talk with her parents. We had made it clear that for this to go forward, we would need to talk to her folks since she was still a minor. It was not long after our making this point that we did not hear from her again. Ultimately, this episode prompted two things: Bobby began asking friends and his church to pray specifically that God might open a door for us to adopt in 2016. Coinciding with that, we began proactively looking into larger placement agencies. Michelle sat down on Friday, January 22, to begin doing some research on a couple of larger agencies that our lawyer and social worker had recommended. These agencies had a broad national reach and were highly ethical in their treatment of birthparents and advocacy of open adoption. Michelle had barely begun her research on a place called Independent Adoption Center (IAC) when a call came to her phone from a California number. Not recognizing it, Michelle let it go to voicemail. She listened to the message a minute later and discovered it was a birthmother who saw our profile on Adoptimist and would like to discuss our being the adoptive parents of a baby to be born. Within twenty-four hours, we had a video chat meeting with both birthparents. The birthparents lived in Los Angeles, were eight months along with a due date of February 15, and were using IAC to coordinate their adoption. They explained that they had lost contact with the family they had originally found on Adoptimist, and when they had recently reached out to them again, the family had already adopted another baby. The birthfather pulled up Adoptimist’s site on his cell phone and said a prayer asking God to guide him to the right couple. When he saw our profile picture, he sensed God’s leading, and so the birthmother placed the call to us. In the scheme of things, we ended up doing very little to have this happen, though we did ask a lot of folks to pray, and we do not underestimate the power of that. Amid our excitement and fear, Michelle scheduled a flight to LA to visit the birthparents and begin making arrangements to process our adoption through IAC. We figured she would spend a few days in LA, and we would return later in February for the birth. 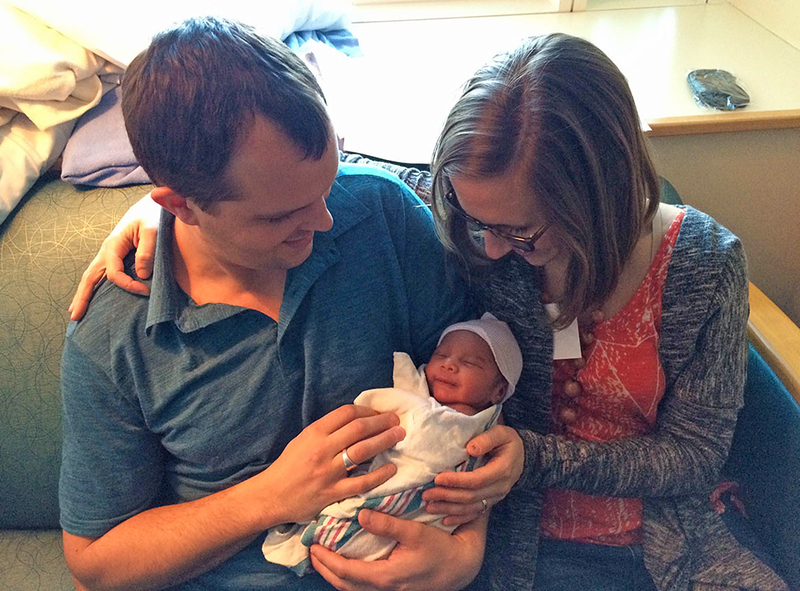 Michelle arrived on Tuesday, February 2, and on Wednesday, February 3, the baby boy was born! 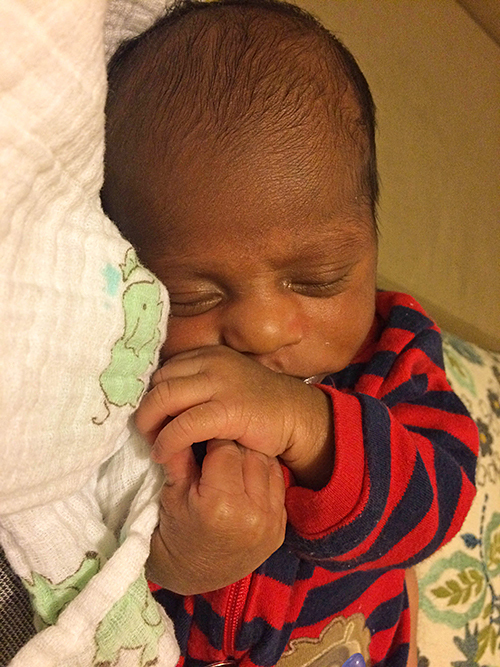 He was a couple of weeks early, but it proved to be perfect timing. Michelle was able to be with the birthparents and baby that entire day, and Bobby was able to take the next flight out of Richmond to join everyone by the next morning. We began to build what is already an incredible friendship with the birthparents over our two days together in the hospital, and we look forward to having them be part of our son’s life in the coming years. Today, we are overjoyed that we have been able to adopt and that God’s timing has proven perfect, despite the heartbreaking and difficult moments along the way. We recognize that other adoptive parents are reading this story and wondering what—if anything—they can do to have a similar outcome. In the scheme of things, we ended up doing very little to have this happen (and we were in the process of trying to do more), though we did ask a lot of folks to pray, and we do not underestimate the power of that. Certainly, we were prepared to spend more time and money on this process, but somehow our simple profile on Adoptimist caught the eye of a couple. We’ve learned that many birthparents do take the time to read through many, many profiles. At the end of the day, it seems that it is best to be yourself on your profile. The birthparents of our adoptive son have told us that our profile stood out to them because of Bobby’s job as a pastor (the couple is very strong in their faith, and the birthfather was also adopted by a pastor) and other similarities we share with the adoptive parents of their first son, primarily our obsession with our dog (our first “baby”). Let your pictures reflect who you truly are, let your write-ups and videos give a true picture. Then, when someone comes along and looks at your adoption profile, they will be connecting with the real you, and that will set a healthy trajectory for further interactions over the phone, through Skype, or in person. It became apparent to us that you have a much better chance of matching, and finding a situation in which you are comfortable, if you pursue multiple avenues towards matches. Other paths we were just beginning to pursue included connecting with friends in healthcare professions and those involved in non-profit organizations that work with populations where adoption is often considered. We created simple business cards with a link to our Adoptimist page, got on a local adoption attorney’s “lead list,” and made profile picture albums that could be mailed out quickly if a birthparent were to be interested. It became apparent to us that you have a much better chance of matching, and finding a situation in which you are comfortable, if you pursue multiple avenues towards matches. We are humbled and amazed that our situation came about as beautifully and as relatively easily as it did, but we have also experienced glimpses of the heartache and hurt that come from terminated matches and the uncertainty that accompanies the adoption waiting process. Having a strong and supportive community that loved us and prayed for us continually, particularly in the later months, was essential, and we hope that all on this journey might have something like that. 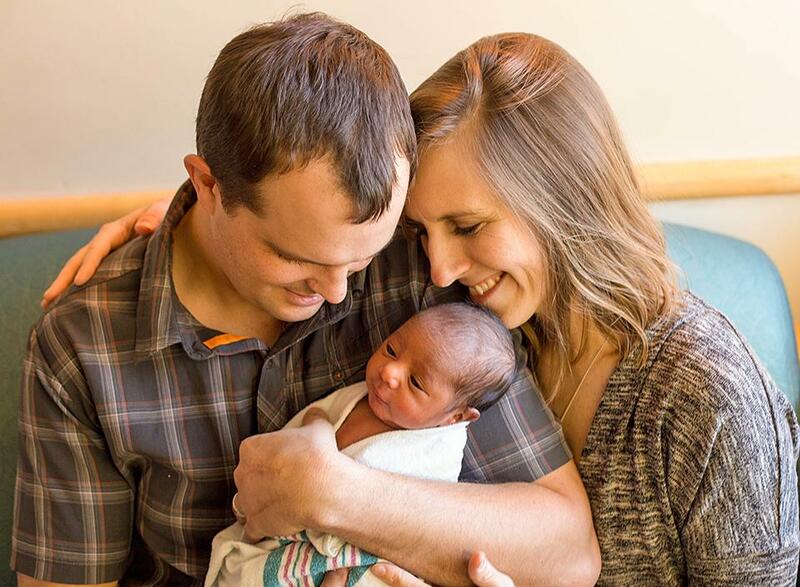 We wish you the best on your adoption journey and hope that you might be writing one of these stories sometime soon!